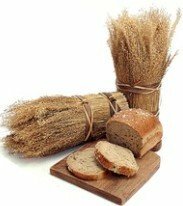 Are you wondering what is gluten and who should follow a gluten free diet? Remember when you were a kid making paper mache’ in class, mixing flour and water together and the result was a thick, stretchy, gooey mess you created that I’m pretty sure could lay a foundation of bricks? That’s gluten! Gluten is an elastic protein that is formed when moisture is added to flour. Gluten is commonly found in wheat, rye, barley and some oats. Gluten is what gives yeast based dough its elasticity. Gluten is also associated with many health problems. Maintaining a gluten free diet is essential if you have been diagnosed with Celiac disease or if your body is intolerant or allergic to gluten. If you suffer from acne, ADHD, autism, fibromyalgia, asthma, cronic fatigue syndrome, rheumatiod arthritis, constipation, or even depression it may be recommended to follow a diet containing no gluten. Research is also showing that patients who suffer from autism may benefit from a gluten free casein free diet. Those who suffer from Dermatitis herpetiformis, a skin disease that is characterized by itchy skin bumps and small blisters appearing in various areas of the body, would benefit greatly from a gluten free diet. Try going gluten free for a month (check out the sample gluten free menu plan) and reap the benefits of a new found energy and shed some unwanted pounds at the same time! Do you suffer from constipation and other frequent digestive problems like gas, bloating or diarrhea? It could be a sign of Celiac disease. Symptoms of Celiac disease are quite broad. You should consult your physician to find out if you suffer from gluten intolerance, a gluten allergy, or a wheat allergy. Gluten allergy symptoms and wheat allergy symptoms vary in all people. A Gluten free diet may be exactly what you need. Once your doctor has given you the okay to go gluten free print out this list of gluten free foods and foods containing gluten. You’ll need to avoid buying any products with wheat or gluten, make sure you know the difference between the two. Be a good label reader and avoid a few ingredients. Its important before starting any diet to consult your physician. Set up an appointment and talk with your doctor to see if gluten free is right for you. Educate yourself. Find out all about gluten and what foods you can eat and which foods you need to avoid.